Okay, construction done. Just a wash down and then on to painting. 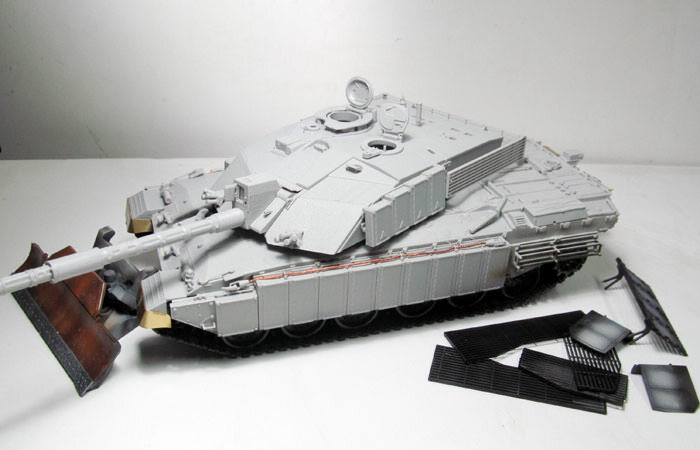 The vehicle out of the box represents Protoype 2, having the smoke dischargers and lacking the hatch on the side of the hull that was present on prototypes after this one. Not sure about the jerry can holder, as there are very few pics of the Tortoise from the rear and those that do show none, but they are not P2. Went with it any way (it is on the Bovington example). Added detail from brass strip and spares. Casting numbers from Archer Decals. Barrel is RB Model. Will use RB Besa barrels if they get here in time. Added texture to the rotating turret as it is smooth in the kit. Also needed to use Putty and glue to repair texture lost during cleanup of mould lines,after relocating the front tow hooks and adding the rear hull panel. There are a few bolts added, either missing or too small on the kit. Replaced the wiring in the kit, very fine and hard to get the seam line off the parts without breaking them, although 2 were already broken in the box. Also added the missing cables to the front lights, why all others but not these? - probably because the tow hooks are the wrong shape and are located way too far forward and the shape the wires would have to be to get around them would be very noticably wrong. Also reworked the exhaust pipes and mounts which are just the housings and a tube in the kit, not the bolted flange, etc. Brass rod used to repalace grab handles and weld seams added to the exhaust cylinder. Not sure how I missed this one, but I'm in at a late date too. 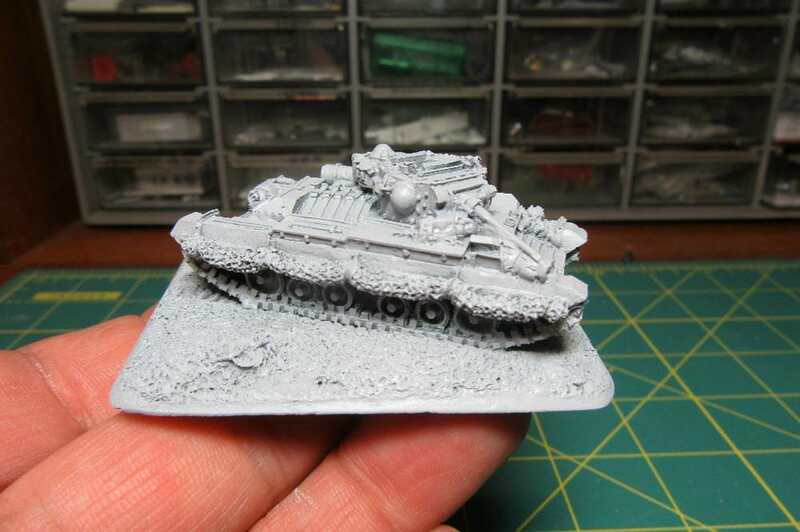 Some really great builds, I especially like Iain's Valentine in the caunter camouflage. 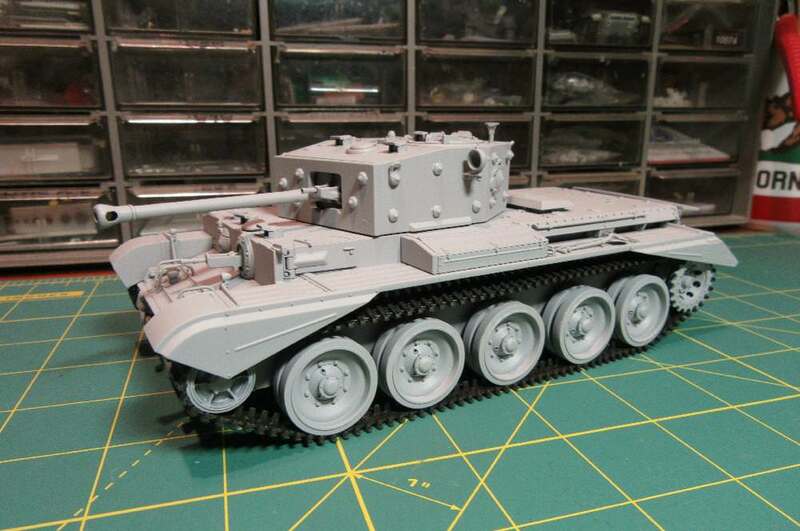 I'll be building the Airfix rebox of the ex-JB Vickers Light Tank. Really nice little kit and the last time I built one I did it in a weekend (and that was painting with Hmbrol enamel too!). A real shame Airfix have ditched the entire range of JB models as they really are great little kits. Probably going to build it as the 15mm machine gun armed C model, but torn between the kits BEF scheme and the Malta Garrison stone wall camouflage. Excellent Tim. The way you brought out the detail in the painting is superb. You would think this was a much larger scale. Thanks for joining in. Hi Bogicevic. Seems joining builds has become your thing! Welcome aboard. I'll look forward to seeing this built too. Pretty scary when the paint brush bristles are as big as the turret. Build by microscope! Looks really nice though Tim. Looking rather sorry for itself, here’s my completed knocked-out Valentine. 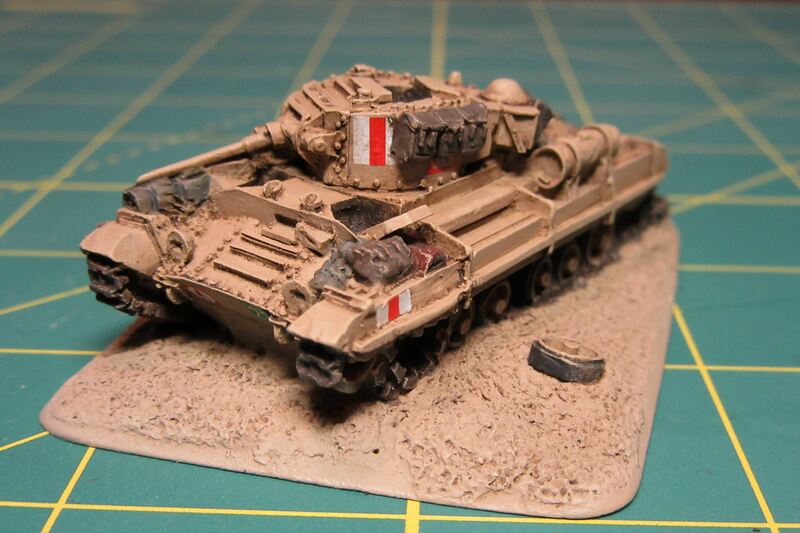 The red and white turret and hull stripes were ID for the British 8th Army in the desert. 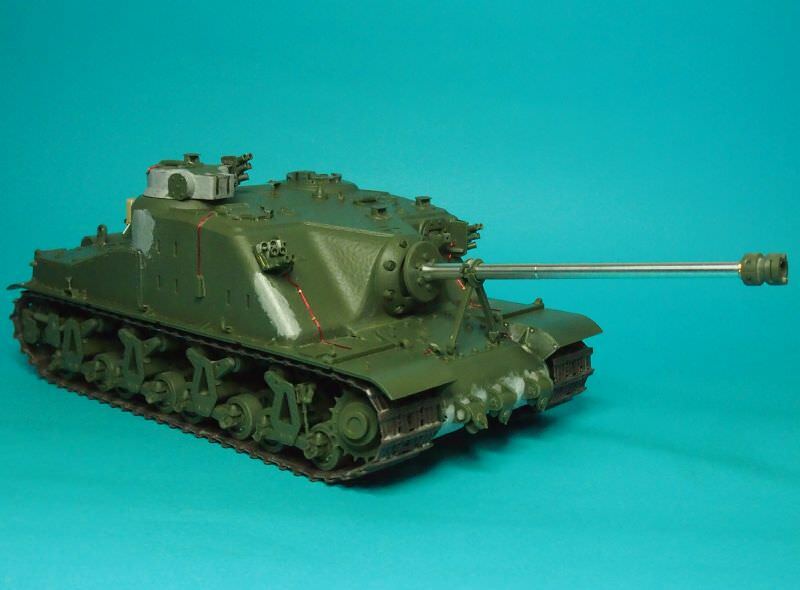 Just visible on the front glacis of the vehicle is the red Desert Rat of the 7th Armoured Division and the white-on-green “28” of the 7th Hussars armoured regiment. The red triangles on the turret signified that this would have been a vehicle of “A” squadron. The thrown track and presence of undisturbed stowage suggest that the tank was disabled by a mine – perhaps the crew are taking a breather before getting their mount back in action? A wash of Grumbacher Raw Umber artist’s oil served to deepen recesses and highlight details. After a little wiping down, the oil wash will also help to integrate the various colors without attacking the acrylic paints. Basic colors are on. 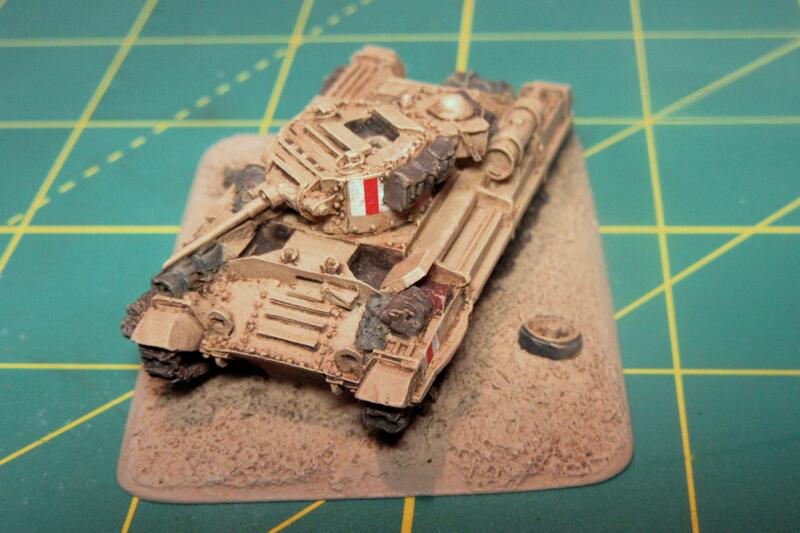 The desert sand base is Tamiya Deck Tan (XF-55), the tank is Tamiya Buff (XF-57) with a very light Deck Tan overspray. They actually are different colors, but the difference is almost imperceptible! Other details are Tamiya NATO Black (XF-69) rubber wheels, Tamiya RLM Gray (XF-22) bedrolls, Tamiya Khaki Drab (XF-51) satchels & camouflage netting, and Tamiya NATO Brown (XF-68) exhaust. Decals are from Battlefront Miniatures. 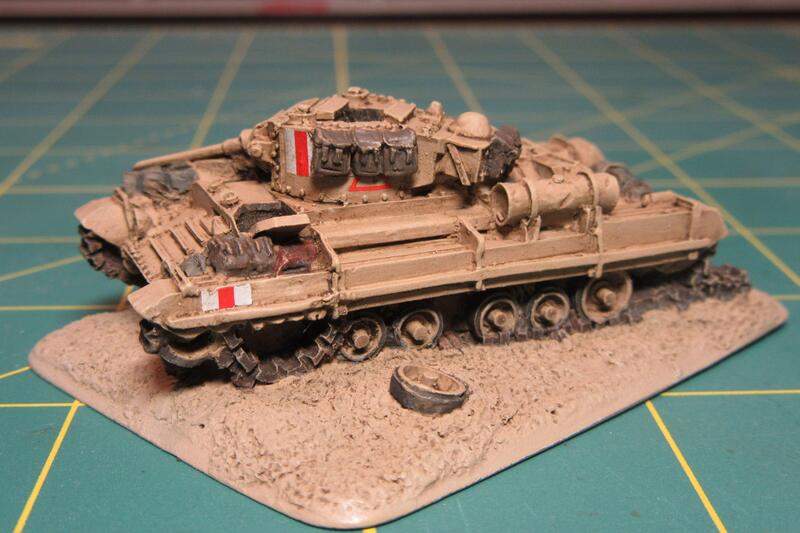 Under a coat of Tamiya rattle-can Light Grey primer. 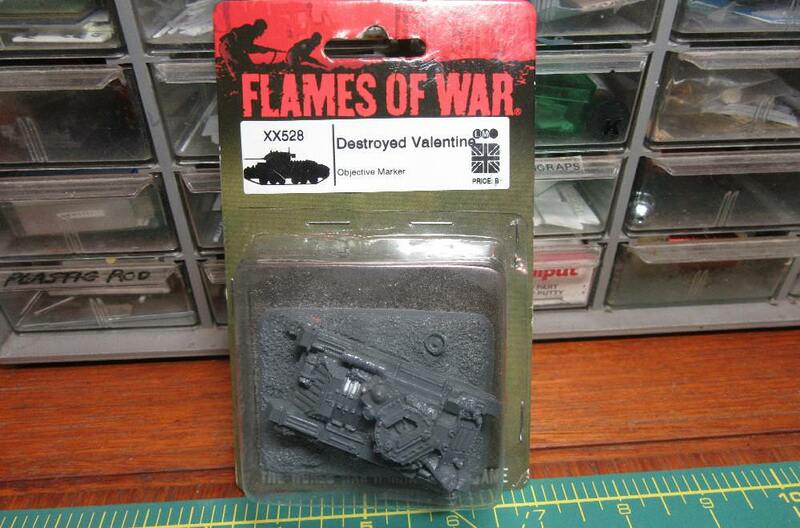 Not the largest vehicle to begin with, the Valentine is just over two inches long in 1/100 scale! Progress pic. Hours of work on the suspension which most will not be seen. Nice work Mr K. The Chally is really looking the part. Sorry to hear about the painting disaster Tim. Good to have a back up plan. 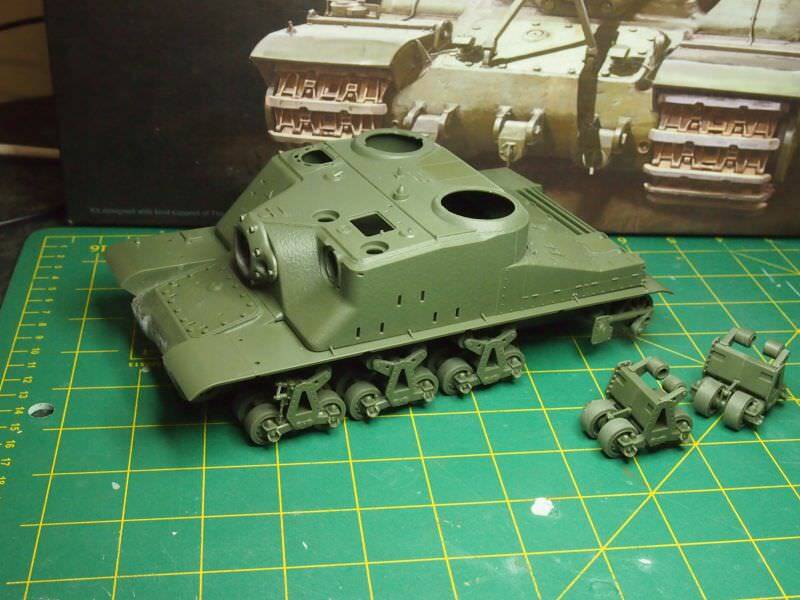 I started THE Tortoise a while back, spent a lot of time on the running gear, which is more than 1/2 the kit, but for all the work, little will be visible. Will post pics when the whole running gear is finished, as nothing really to show as is. 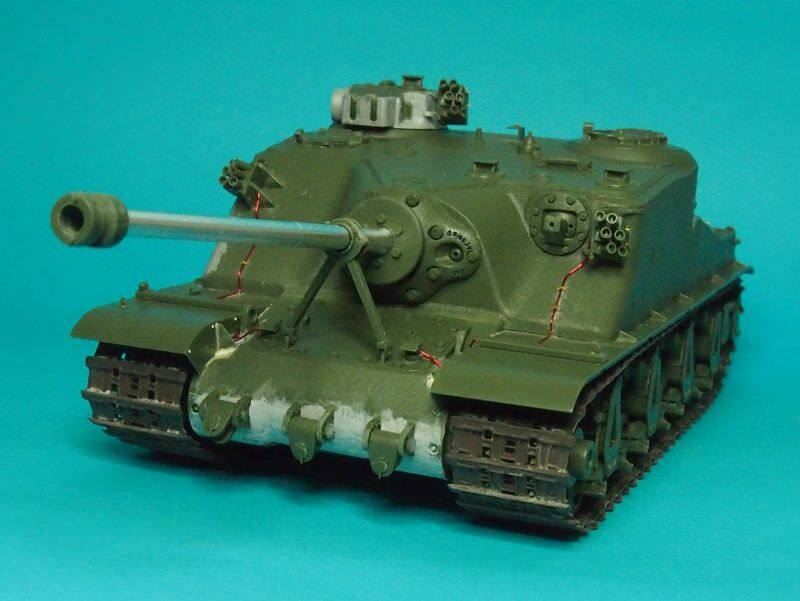 Following a thoroughly demoralizing painting disaster with the 1/35 Cromwell this past weekend, I’m making a switch for this campaign to something entirely different – a Flames of War Destroyed Valentine in 1/100 scale. 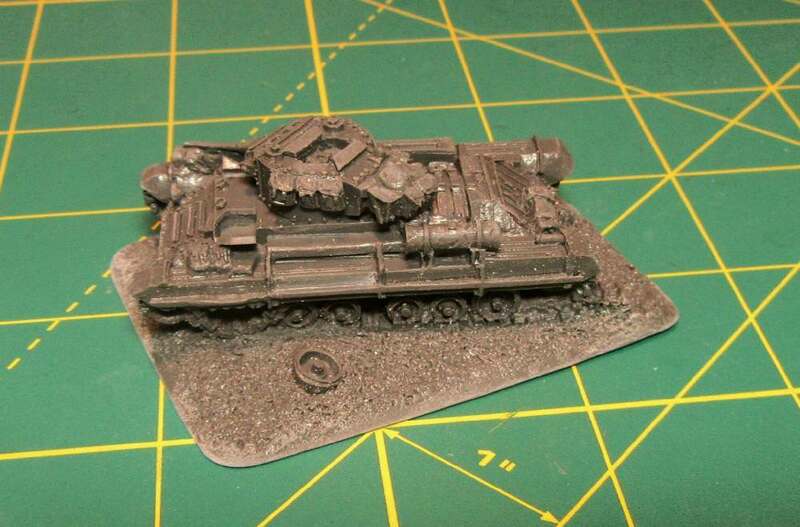 The FOW Valentine comes as a mini-dio complete with a “sand” base, thrown track, and a blown off road wheel. 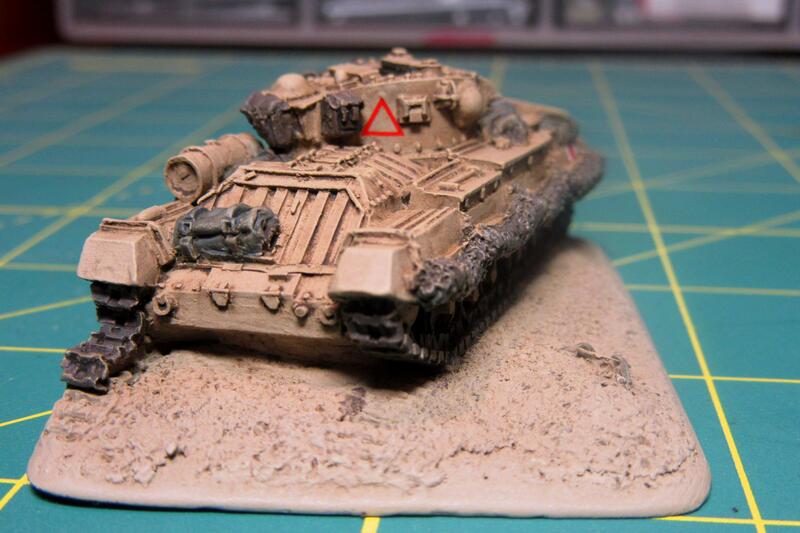 A wargaming objective marker, this resin model is so simple there isn’t even any assembly. I can concentrate on recovering my painting mojo on this one! 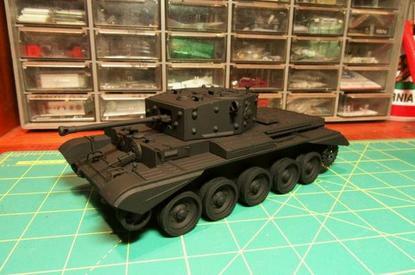 The Cromwell received an undercoat of Tamiya (XF-69) NATO Black followed by covering coat of J.A. Green (XF-13). This will be a fairly basic build. 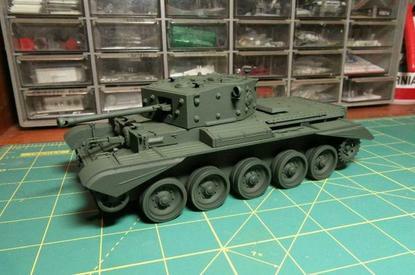 The Cromwell is assembled straight out of the box with the hatches closed and prepped with Tamiya rattle-can Light Grey primer. 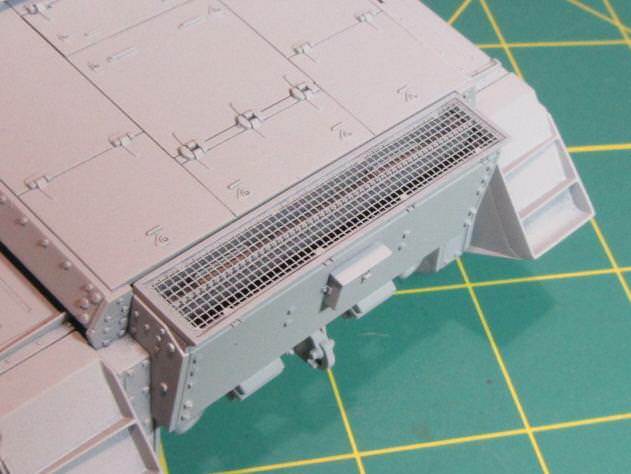 The only aftermarket used was Tamiya’s photoetch grill for the aft deck. 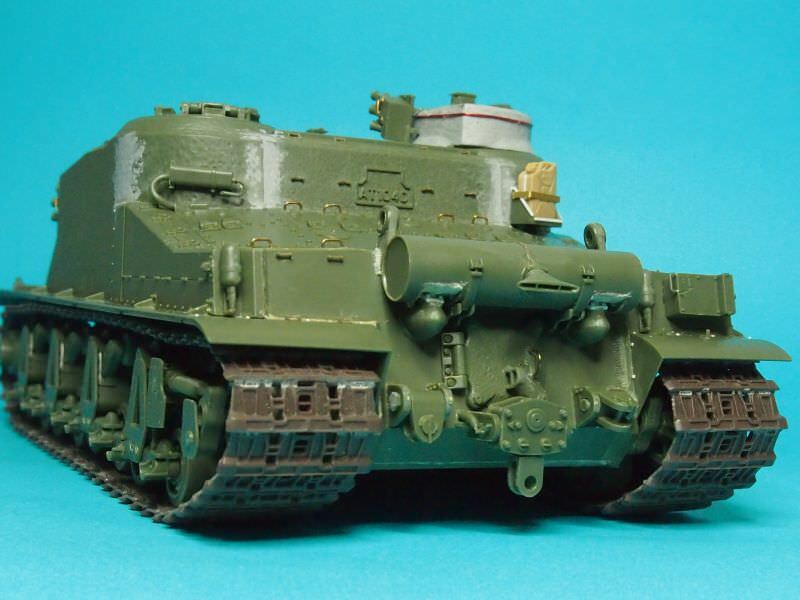 I’m in with a British Army Cromwell Mark IV tank in 1/35 scale. I started construction on this kit when it came out in 1997. Too many interesting campaigns to follow. 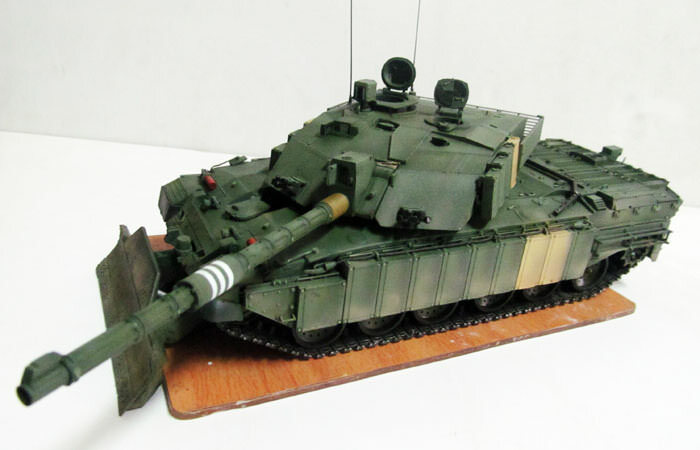 It takes 2 months for assembly of this Challenger 2 Enhanced Armour. A slow progress. 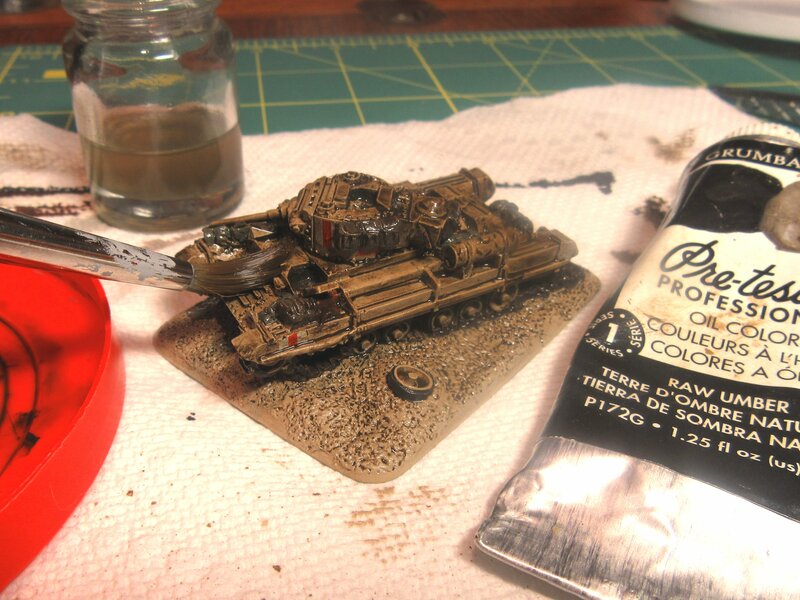 Preparing the weathering on it. I'm happy to follow Lap Man into this campaign. 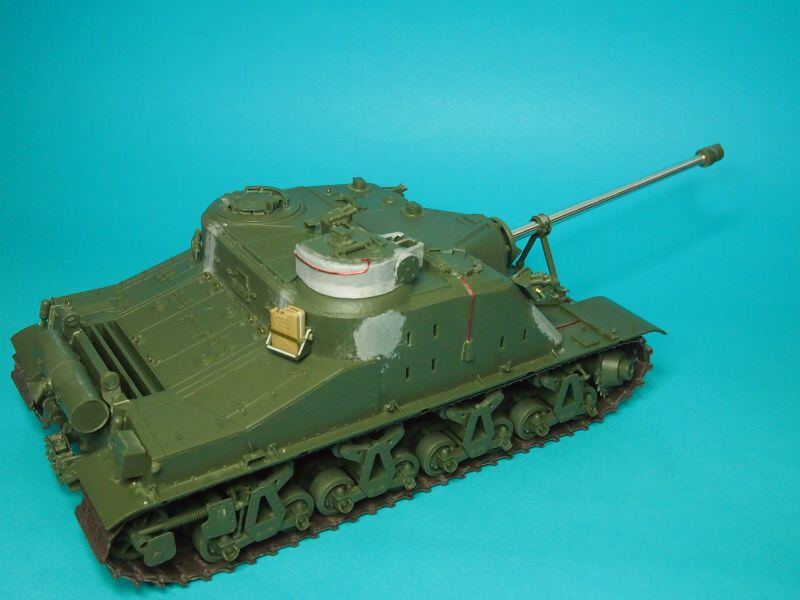 My entry will be the old mid 70s Tamiya Matilda. 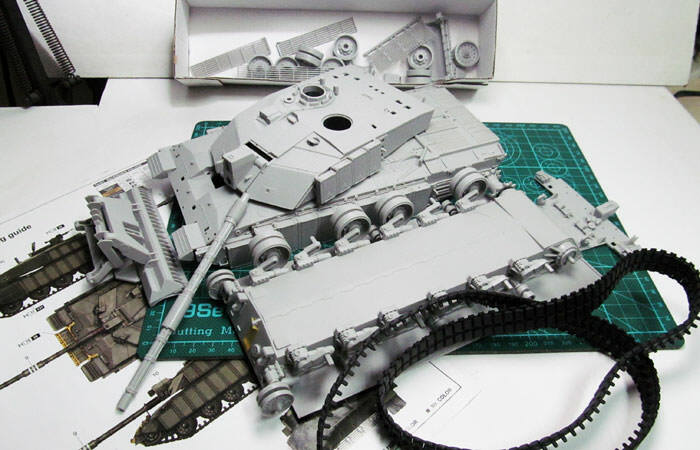 Just started to build my entry, Trumpeter 1/35 Challenger 2 MBT. Nice finish. Really digging the paint work and the open hatches. Plan on adding any figures? Thanks Mark. 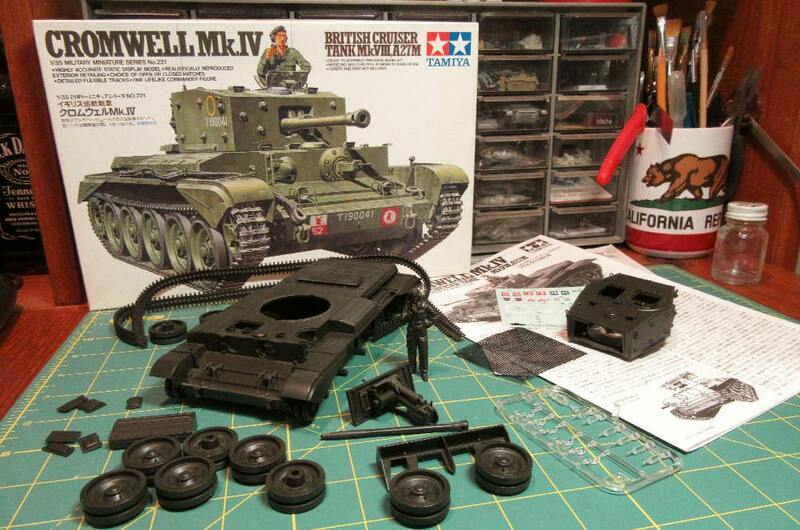 No figure plans at this stage, the kit came with some tank riders but no crew, which just seemed weird. 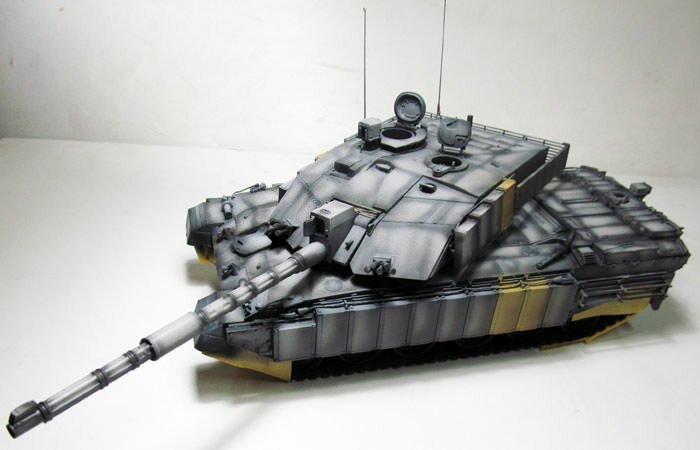 I am trying to figure out how to display all my Valentine based tanks together without taking oodles of space.